Shutterstock has amazing images, so why not see what they would look like in your home. 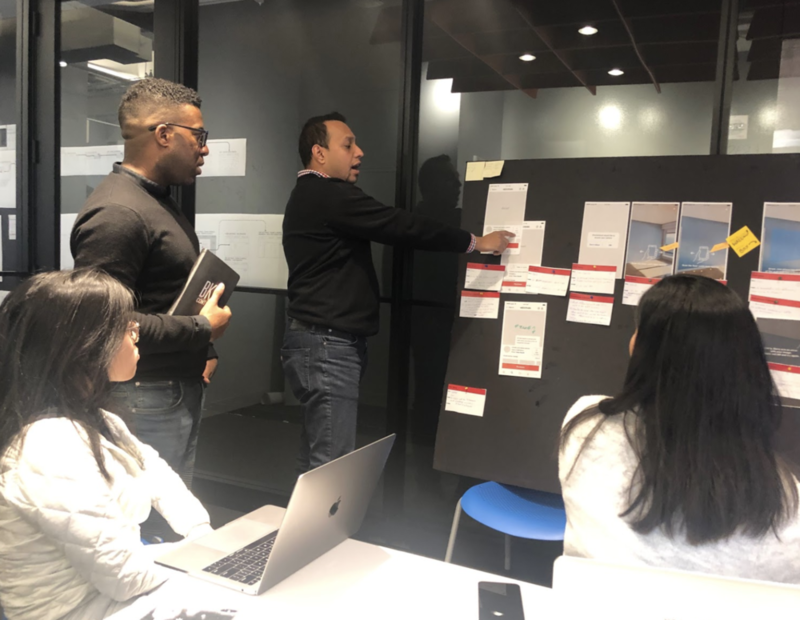 The Shutterstock AR project was conceived of this past fall when the Shutterstock mobile apps team was challenged to come up with an idea for the internal company hackathon. The team recalled that several users mentioned that they would love to be able to view Shutterstock images placed on a wall to help them decide which image to buy. The team decided for the hackathon (within 24 hours) they were going to try to create an AR experience for where you can view any Shutterstock image in augmented reality (AR). 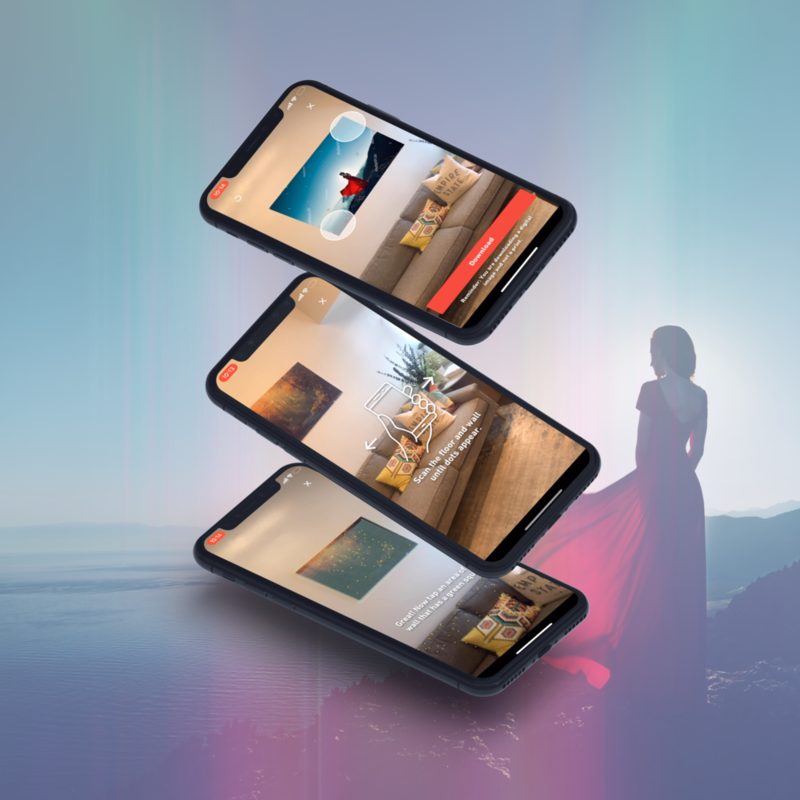 Within just a few short months the mobile apps team created a simple but fun AR experience that you can try out today in our iOS consumer application. Drawn story board for our video, seen below. Say you’re an interior decorator or just an art lover that wants to spruce up your space. There isn’t a way for you to digitally “try out” images in your home with out photoshop. Working though a story mapping session with our customer care and marketing team. 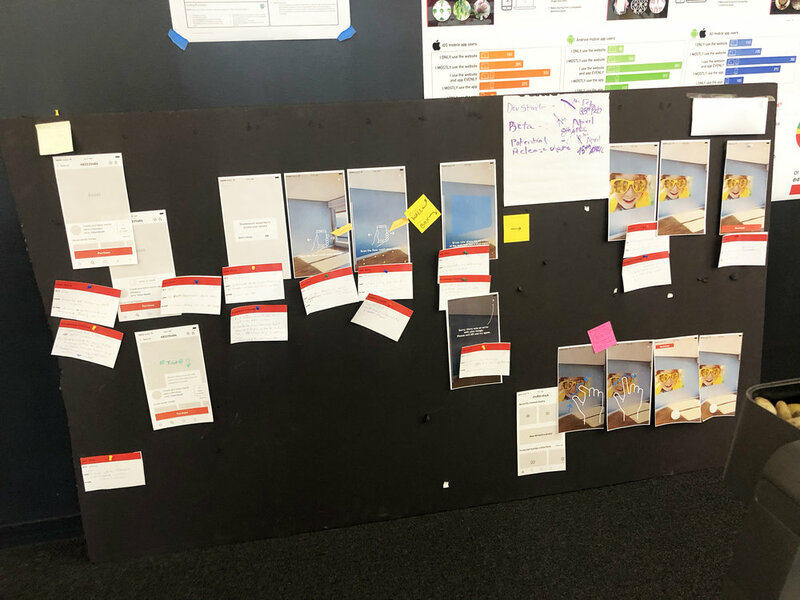 My team and I will often story map on large boards in our office. This helps us remember decisions we made and helps us visualize end to end process. Because many people are not familiar with the AR icon yet or even the phrase AR, I decided to put that icon with some easy to understand text that tells you what will happen. Our asset detail page will showcase the button on to the right of the image meta data. The launch button UI and how it would adapt to translations. I wanted the UX to teach you but not force you into a distracting on-boarding flow to do so. So what I had decided was that we could show the user simple, encouraging, messages as they interacted with the technology. 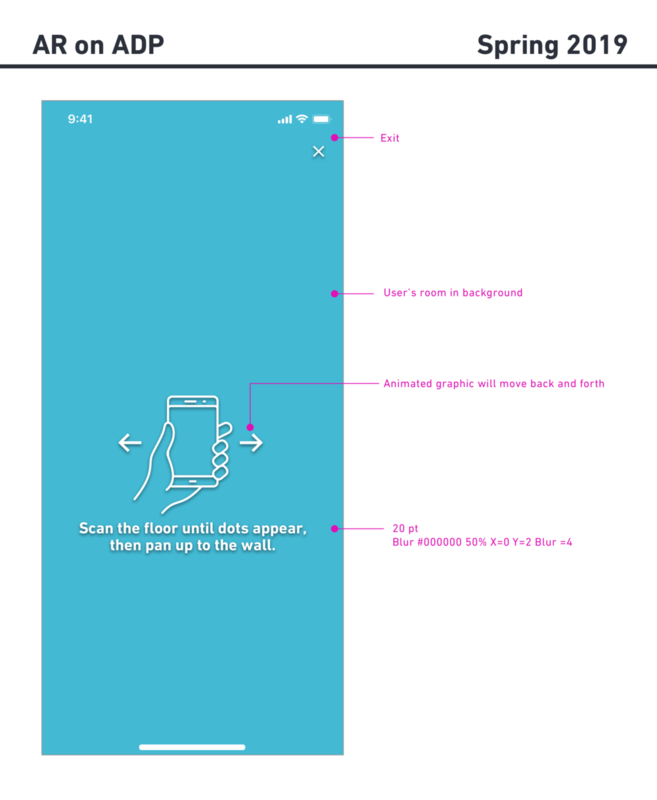 Documentation illustrating how messages and animation will appear to the user. Blue background is a stand in for the person’s room. Our solution was to utilize the iOS ARKit framework (comes shipped with the iOS SDK, the technology stack for app development). The AR UI I built in action. Screens showcasing the steps of creating AR with Shutterstock assets. Find an image on the Shutterstock mobile app that you want to hang in your home. Tap the “View in room” button with the AR icon. You will then see your camera come on and a view of your room. Start to move your phone around the floor and wall until you see yellow dots start to appear (the more the better). If you have trouble try some of these tips: move slower, turn on more lights, tape an object to the wall, point at a textured surface. Once you see a green grid appear on your wall simply tap and your image will appear. Then you can resize it or move it on your wall. Then simply choose to download the image or exit the AR experience. Im excited that we will be integrating these changes into our iOS Consumer app in Spring 2019.